Bruno arrived on Saturday 3rd December 2016. Went to his new home on Friday 9th December 2016. 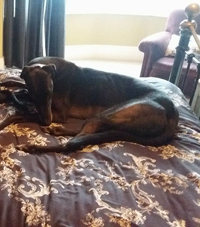 Bruno is a 3 year old black ex-racing greyhound who is house trained, neutered, inoculated and microchipped. During March 2016 he broke his hock but this has been plated and all now seems okay. Bruno is a real gentleman, very much like Kit in that he has a soft nature, is okay on the lead, fine with children, ignores cats as they cross the road in front of him when he's out walking and travels well in a car. - Can you help us find him a new home? 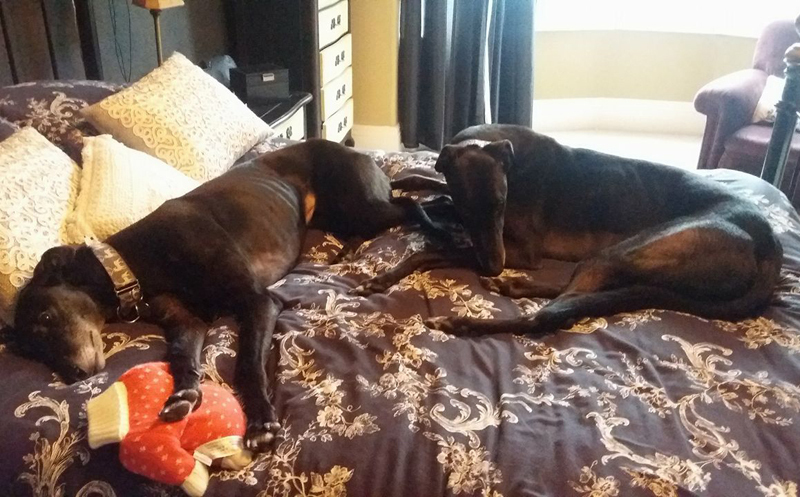 We heard today that Bruno is settling in to his new home really well, getting along withTillie nicely and his new owners came home tonight to find them both on the bed! Have just heard that Bruno is settling in really well. Like he's been with them for weeks. He's brought Tillie out of her shell. 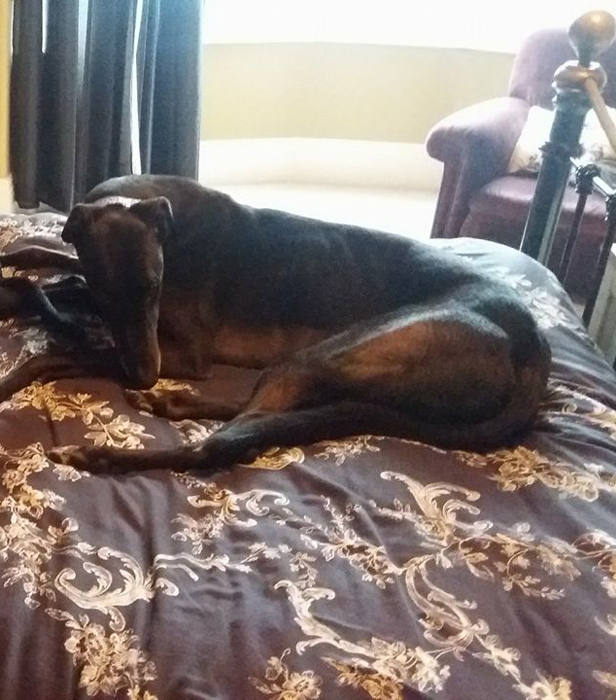 They are getting on so well together and their owners say they are happy with the two of them, they couldn't have wished for better.